79 such scheming conductors have been sacked till date for stealing bus fare. 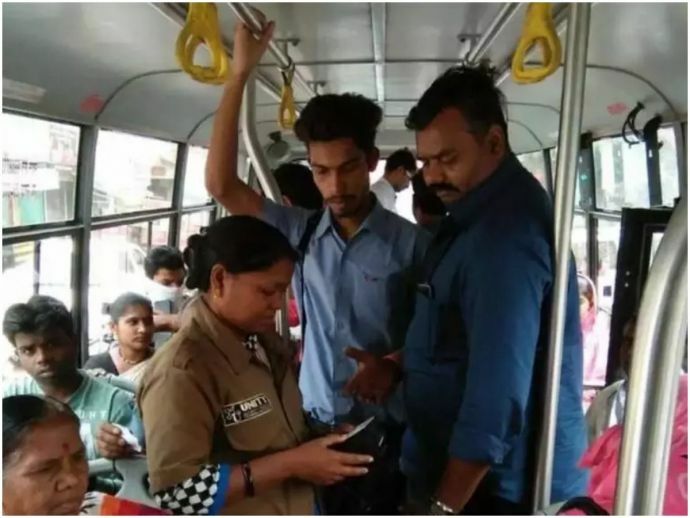 In the wake of taking strict measures to curb the conductors from pocketing the bus fare, the Nagpur Municipal Corporation (NMC) has decided to set up a special squad of ticket checkers. Last year, many Aapli bus conductors were facing corruption allegation. According to the transport department data, 1,500 conductors have been positioned on 308 Red buses. The city bus service is jointly operated by a team of NMC and Delhi Integrated Multi-Modal Transit System Limited (DIMTS) through three operators and two ticketing agencies. Till date, conductors have been caught on 1,637 occasions pinching the bus fares. The transportation department has put forth a proposal to create eight posts of ticket checkers to keep in check the malpractice. The proposal was supposed to be pushed forward to the transport committee at the meeting scheduled on February 4. According to the sources, the transportation department of NMC does not have any such post at present while that of DIMTS team has 80 checkers. In various surprise checks carried out by DIMTS’s flying squad and sometimes NMC transport department officials, a fine amount of Rs. 15 lakh was collected from conductors as well as ticketless passengers. Chairman Bunty Kukde, who heads the committee, will take a call to form a committee to hear matters against the conductors, which will be headed by additional municipal commissioner. DIMTS issues a show-cause notice for first offence, sends termination notice for second offence and bars the conductor from the job on the third and subsequent offence. Previously, a four-member committee comprising of three NMC officers and one representative of DIMTS were in charge of taking action. But during the steering committee meeting which was held on November 5, 2018, the municipal commissioner directed to form an inquiry committee. This committee will be headed by the additional municipal commissioner. However, neither DIMTS nor the department could take any action as there was political interference from certain ends. The political pressures lead to reinstating of as many as 79 conductors who were initially sacked after the fare theft. The department has also proposed to fill 10 posts of traffic manager, labour and public relation officer, accounts officer, chief ticket checker, controller and two drivers. Currently, there are no updates available after February 4 for this news.